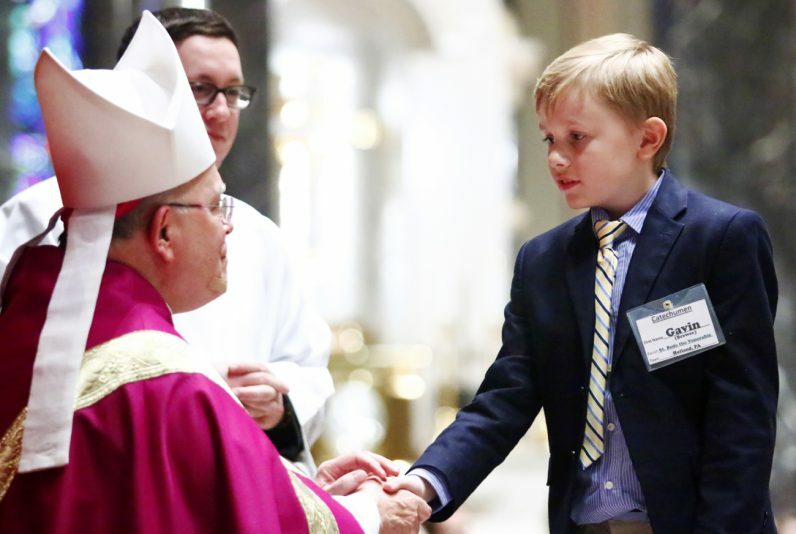 Catechumen Gavin Brewer form St. Bede the Venerable Parish is received by Archbishop Charles Chaput. 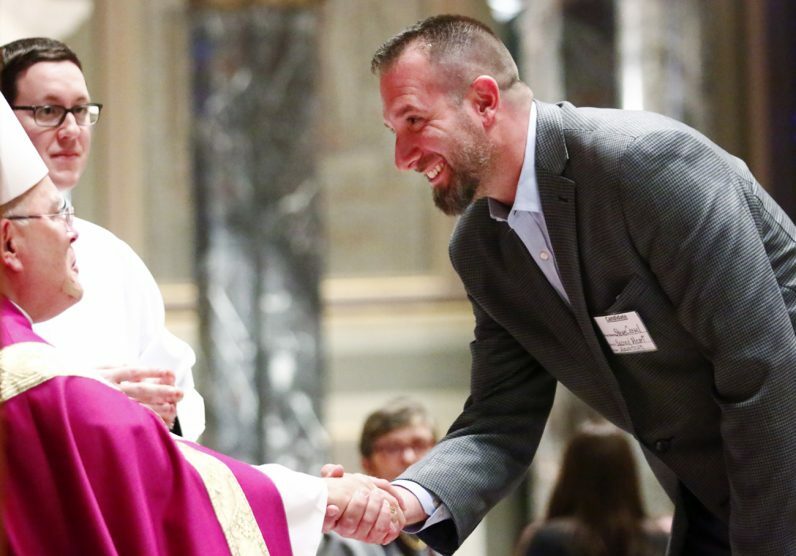 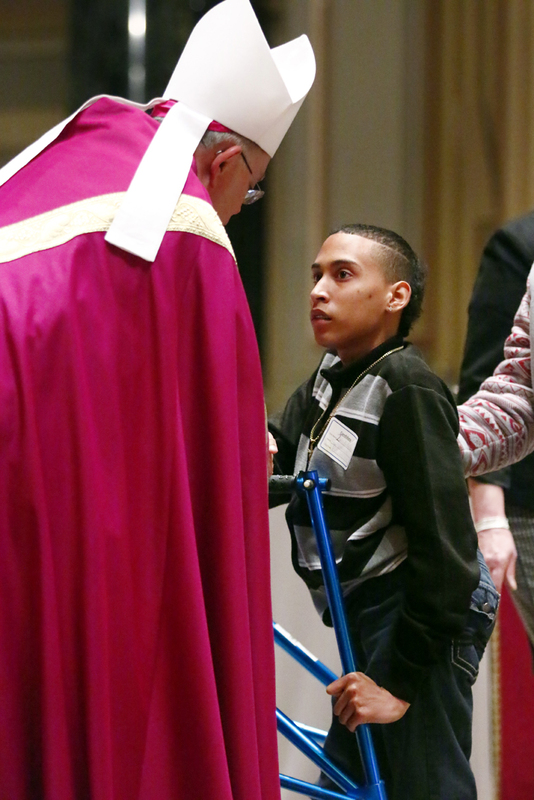 Shawn Weymer from Holy Trinity Parish in Morrisville is greeted by Archbishop Charles Chaput. Catechumen Amanda from St. John Fisher in Boothwyn receives encouragement by Archbishop Charles Chaput. 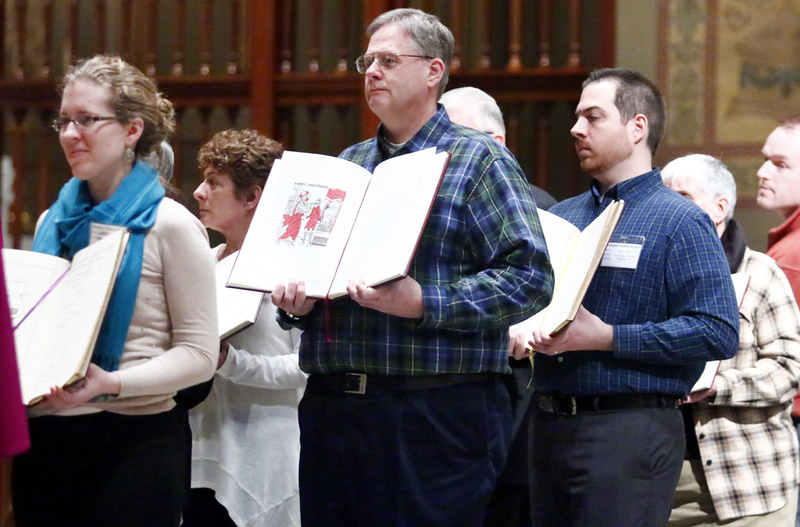 Representatives from each parish bring forward the signed Books of the Elect. 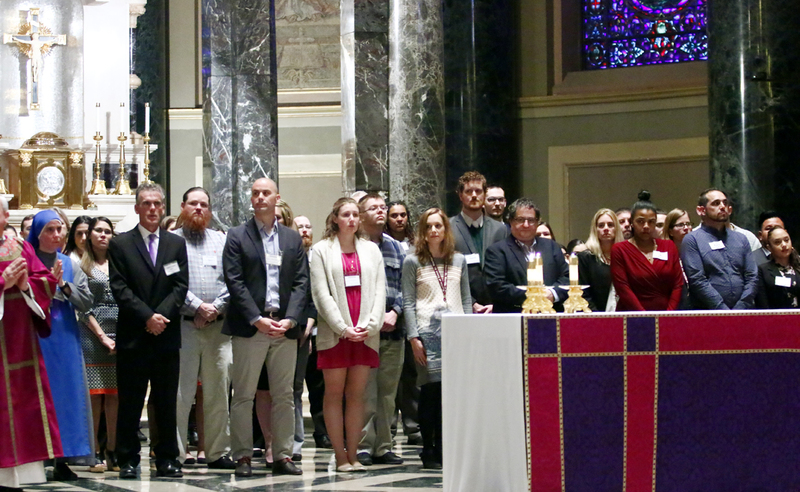 Catechumens stand before the altar as their baptismal sponsors state they are ready to be received by the church. 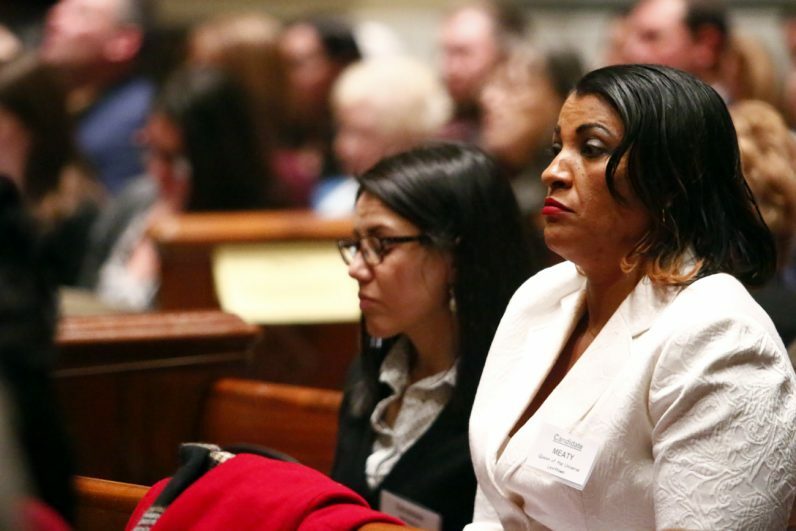 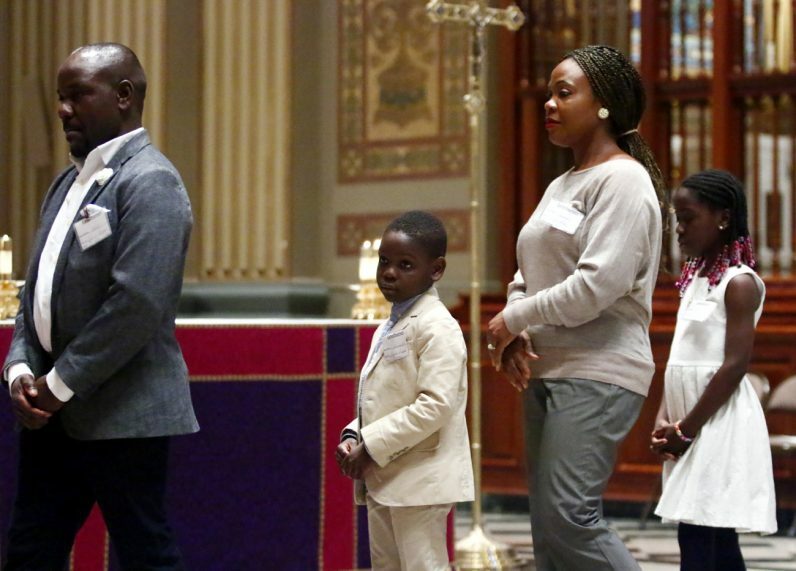 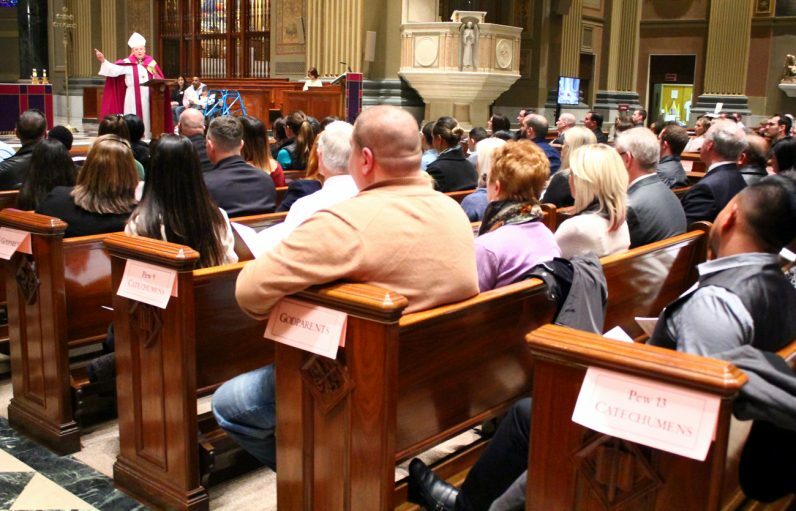 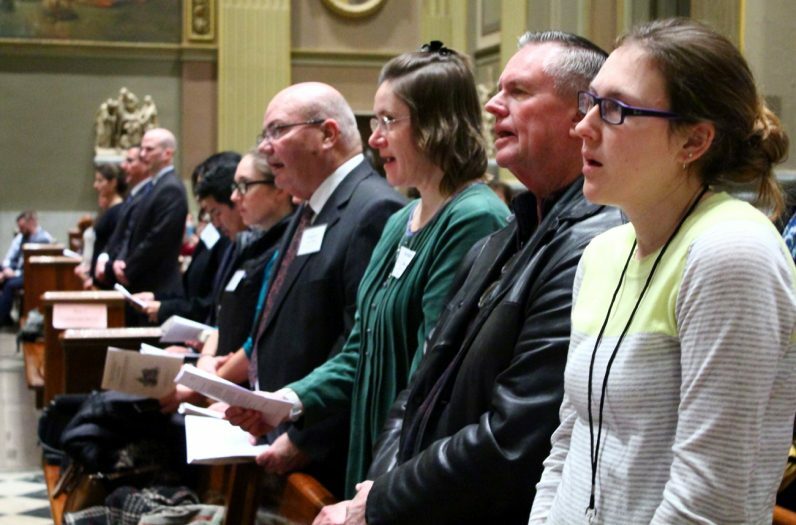 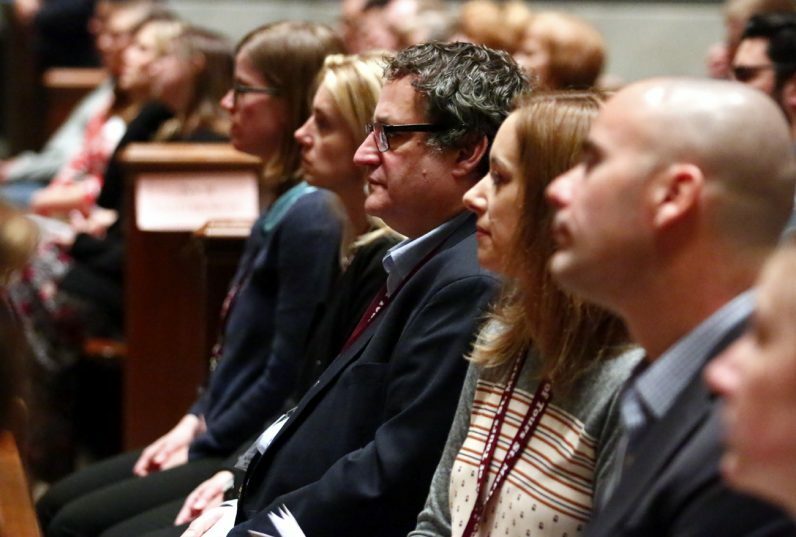 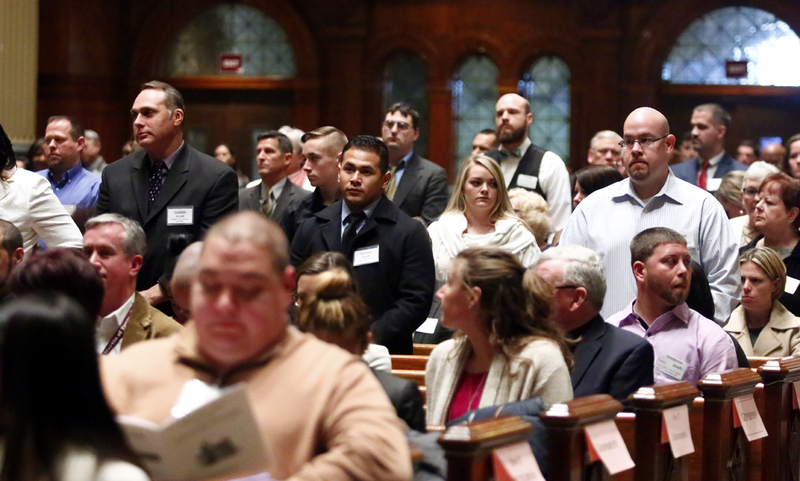 Sponsors of the catechumens declare they are ready to enter the church. Candidates declare they are ready for full reception into the Catholic Church during the Rite of Election. 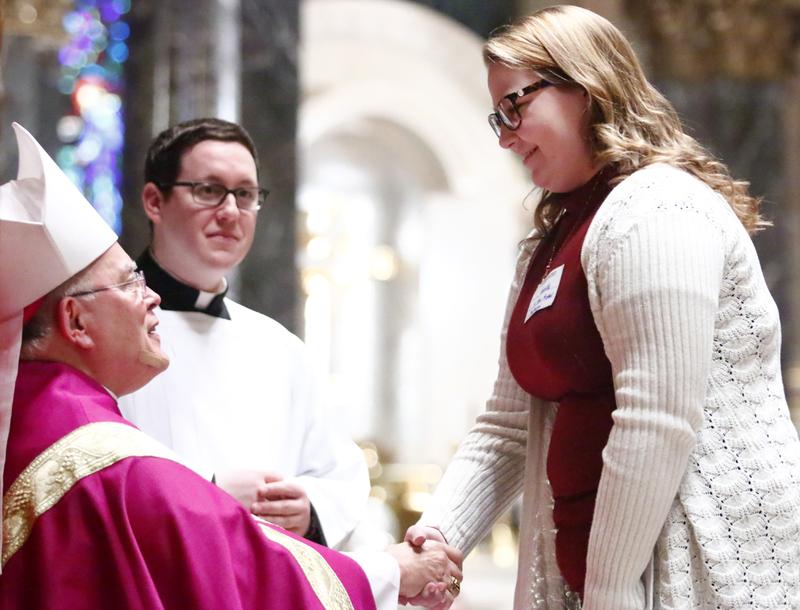 Archbishop Charles Chaput greets candidates during the Rite of Election. 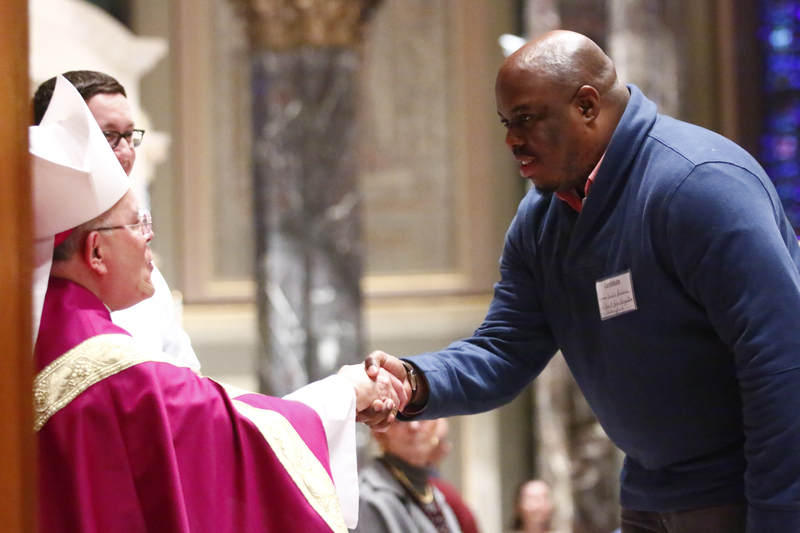 Candidate Kunle Folarin from St. John Chrysostom in Wallingford is greeted by Archbishop Chaput. 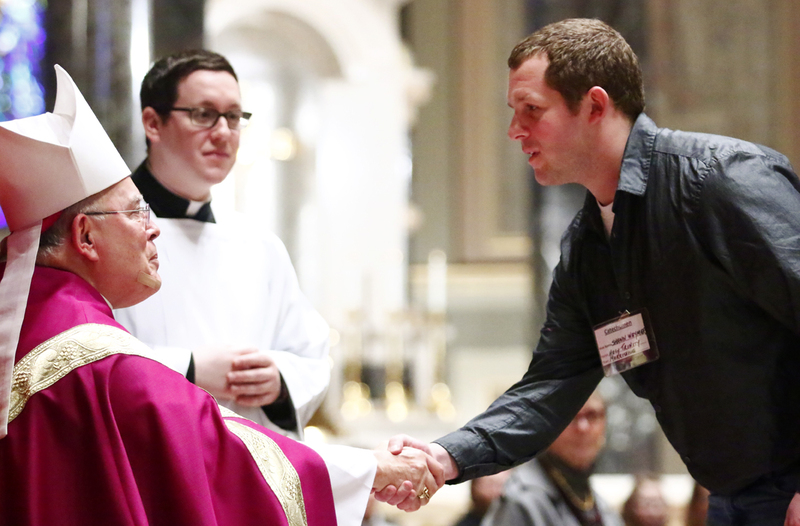 Candidate Steve Cassel from Sacred Heart Parish in Hilltown is welcomed by Archbishop Charles Chaput.